Over the past weekend, I spoke at the Midsouth Homeschool Convention, which is a part of the Great Homeschool Conventions series. It was held in Memphis, TN, so pictures and tributes to Elvis were abundant everywhere except the convention itself. I didn’t give as many talks at this convention as is typical, so that left more time for my favorite part of a homeschool convention: talking with students and parents. Since I am not selling anything at homeschool conventions these days, my booth in the exhibit hall looks rather odd. It consists of a plain black-and-white sign that just has my name on it, an empty table, two chairs, and me. In contrast to most of the other booths that try to attract people in with color banners, comfy couches, potted plants, and videos, mine looks pretty bare. The CEO of Home Educating Family thought it was just too bare, so he added one “decoration.” On my plain white sign, he wrote “The Doctor Is In” and gave me a sticky note that said “OUT.” When I left my booth, I could cover the word “In” with the sticky note. Perhaps it doesn’t sound funny to you, but I thought it was hilarious, and I used it the whole time I was there. I regret that I did not take a picture of it before I left. Although the bulk of this post will deal with a question I got in one of my talks, I do want to mention one thing that really impressed me. It turns out that during the conference, some low-life broke into several of the vendors’ vans. While most vendors didn’t lose much, one vendor’s van was loaded with an iPad and some other important technology, so they were looking at a serious financial loss. In order to help them out, several other vendors took up a collection. Now these vendors are all competitors. If you buy a math course from one vendor, that probably means you won’t buy a math course from any other vendor. Nevertheless, the vendors all gave generously. That really impressed me. Even in business, Christians should put compassion first, and that’s what I saw happening in Memphis. One of the talks I gave at this convention is entitled “Life and Its Amazing Design.” In this talk, I concentrate on life at the cellular level and how it is clearly the result of design. I talk about how atheists try to argue against this rather obvious conclusion, and I also talk about how at least some former atheists (like myself and Dr. Antony Flew) reluctantly came to to accept it. As always, I opened up the talk for questions from the audience, and one particular question is worth discussing. The person who asked it had obviously studied evolution a reasonable amount, because he asked about pseudogenes and how they are often used as evidence for evolution. Specifically, he wanted me to address the GULO pseudogene in people and apes. If you aren’t familiar with the term, scientists often say that a pseudogene is a “broken” gene. They say this not because they know it to be true (in fact, we know it isn’t true in certain cases), but because they infer it from evolutionary thinking. A pseudogene is a stretch of DNA that looks remarkably like a known gene. However, the differences between the known gene and the pseudogene keep it from being a real gene. In other words, while the known gene will cause the cell to make a protein, the pseudogene is different enough that it cannot cause the cell to make a protein. If you believe in the mistaken notion that the only thing a stretch of DNA is good for is to produce a protein, then if a stretch of DNA looks like a gene but can’t make a protein, you conclude that it must be broken. Of course, a more scientific view would be to try to find out if there is some other way that the stretch of DNA could be used by the cell. When geneticists actually decided to follow the more scientific path, they found that many pseudogenes perform very important functions. One very important function that pseudogenes have is regulation. They can determine how much protein another gene makes. There are different ways these pseudogenes do their job, but one way is to essentially produce a “decoy” that traps a third molecule whose job it is to stop the gene’s product from being made. I wrote about that process some time ago. In order for the pseudogene to do its job that way, it needs to look a lot like the gene that it is regulating. Thus, while such a pseudogene looks like a broken version of a gene, it is not broken at all. It looks similar to the gene because it must look that way in order to do its job. With all that under your belt, you can now consider the question I was asked. Certain mammals can produce their own vitamin C. As a result, they don’t have to eat foods that contain it. To make their own vitamin C, they use a series of genes, one of which has been called GULO. Well, humans have a sequence of DNA that looks a lot like the GULO gene, but there are some variations that keep this gene from producing a protein. If humans could produce that protein, we might be able to make our own vitamin C. We cannot, however, so we have to eat food that contains vitamin C. As a result, it seems like this sequence of DNA in humans is a broken version of the GULO gene found in other mammals. Because of this, it is usually called the GULO pseudogene. 1. God created both apes and humans with a broken gene that does nothing, and God also decided (perhaps for fun) that the broken gene should be broken in all the same places in exactly the same way. 2. Apes and humans were each created with a working GULO gene and then, over time, they independently experienced the exact same mutations so that their GULO pseudogenes are broken in the same way. 3. Apes and humans share a common ancestor, which had a broken GULO gene. That broken gene was passed on to both apes and humans. Evolutionists say that #1 is silly, #2 is incredibly unlikely (the chance of all the same mutations happening to break the GULO gene in all the same places in two independent biological lineages is roughly 1 in 1×1039), so #3 has to be the correct answer. 4. The GULO pseudogene is actually functional, and the Creator gave it to apes and humans because they both need it in order to survive. In response to this option, an evolutionist might wonder why this functional pseudogene would look so much like the GULO gene. The answer is simple. We already know that some pseudogenes have to look very similar to the genes they regulate in order to perform their function. It is quite likely that the GULO pseudogene regulates our use of vitamin C. The fact that it looks like a gene that is used by other organisms to make vitamin C might very well be necessary in order for it to perform its regulatory function. In the end, then, the fact that the GULO pseudogene looks the same in apes and humans is most likely the result of the fact that it performs the same function in both. In addition, it looks a lot like the GULO gene in other mammals because it regulates the way we use vitamin C, which is related to the GULO gene. The other problem with the argument involves the mental gymnastics it takes to be an evolutionist. Let’s suppose the GULO pseudogene really is completely functionless. It has no value whatsoever. Thus, the option I just discussed (#4) is not a reasonable option. What’s wrong with option #2 listed above? Why can’t we consider the idea that apes and humans both started out with a functioning GULO gene and then they both experienced the exact same mutations to break it? Well, according to the evolutionist, the probability is absurdly low: about 1 in 1×1039. But wait a minute. The chance that one of the simplest proteins of life, ribonuclease, formed by random chemical reactions is 1 in 10152. The formation of chemicals like ribonuclease must have been incredibly common at some point in earth’s history in order for life to appear as a result of chance. Even once life got started, all sorts of events that have an absurdly low probability would have to occur in order for evolution to proceed. When it comes to these matters, evolutionists have no problem accepting that absurdly improbable events happen all the time. Why do evolutionists allow all sorts of absurdly improbable things to happen when it comes to everything except the formation of the GULO pseudogene? Because they engage in mental gymnastics. When absurdly improbable events are necessary for evolution to proceed, they happen all the time. When absurdly improbable events undermine the case for evolution, however, they can’t happen. Finally, what about this probability of 1 in 1×1039? It is based on the assumption that all mutations are equally likely in a gene. We know for a fact that this is just not true. There are all sorts of mutational hotspots in DNA. These are regions that mutate much more frequently than other regions. If the places where the GULO gene was “broken” in humans and apes are mutational hotspots, then the chance of apes and humans getting the same mutations at the same spots is much more likely. Thus, it could be that the chance of apes and humans independently getting their GULO genes broken in the same way is fairly high, especially given their similar biochemistry. Obviously, I don’t think the GULO pseudogene is functionless. In addition, I think its similarity in humans and apes is the result of humans and apes having very similar biochemical needs. However, even if I am wrong, it takes a lot of mental gymnastics to say that it is statistically impossible for humans and apes to have experienced the same mutations in their GULO genes while at the same time saying that even less probable events have occurred as a matter of course throughout earth’s history! I absolutely love genetics. It was my favorite part of your Biology course. I just finished the sixth chapter of The Signature in the Cell, and I discovered that I am a nerd. I also discovered that however much that discovery surprised me, everyone who knows me had already figured that out some time ago. My sister says that no one should be able to read a 500+ page book and enjoy it. If I didn’t hate non-fictional writing, I might consider being a microbiologist. Grace, from one nerd to another: welcome to the fold! Oh, and about the nerd thing: The day you suggest to one of your professors that we should do a huge endothermic reaction in the class room because it’s 90 outside and about 20 degrees hotter inside is the day you officially become a nerd. Also when your friend says “Hi, Vivielle! What’s new?” and you reply “C over lambda.” you know that you’ve arrived. Dr. Wile, hope this wasn’t too off topic! Well, based on Vivielle’s comment (which was not too much off topic), it seems the population of nerds is high around here. We were actually talking about the GULO gene in my philosophy of biology class yesterday, as we are studying Stephen Jay Gould’s Structure of Evolutionary Theory. Thanks for posting. I am glad it was relevant, WSH! See, I’m bad with details and following instructions, so I’m afraid I’d create some sort of mutant monster pathogen… and then no one would be able to understand my articles because I would forget what exactly I had discovered… leading me to believe I may have a career in the media where facts don’t matter. I would really like to work with producing new hybrids of plants. Does anyone else think that miniature gerber daisies would be adorable? And mini gerber daisies would be pretty cute. I do love cute note books…and I usually get really good grades on my experiment write ups, so maybe the only hurdle would be writing articles for publication. I’m reasonably certain that you can’t just copy your notes for one of those. So my last problem is this: I can see myself being a midwife and married; I can’t see myself being a researcher and married. Not if I’m homeschooling eight kids, that is. So I’m probably still heading for midwife. Not that that will ever stop me from being a nerd. A random piece of nerd knowledge… Today (April 20th) is National Carry Your Bible Day. How cool is that. Grace, I am sure that you will excel at whatever you do! And being a wife and mom to about 8 kids is one of my dreams as well. Nice, I never knew about this. I always was a bit skeptical about “junk” DNA being completely useless. I find out more about nature every day. My Scientific Americqn magazine had an article on how plants use pheromones to communicate. One plant parasite actually smells out it’s victims! Willow trees can communicate with airborne chemicals. If one tree is being attacked by a certain insect it will send out pheromones to warn the other trees. The neighboring trees will then produce a chemical in their leaves that the insects don’t like and save themselves. I scratched my head afterward wondering how anybody could believe that a complex system like that could have spontaneously evolved (I noticed that they didn’t once mention evolution in the article :). Science Geek, many evolutionists have an enormous amount of faith in the power of random change, natural selection, and time. It’s a lot more faith than I can muster. Dr. Wile, indeed. This one Christian was asked at a debate “What would make you an atheist?” He said that most of the evidence for Christianity would have to vanish. 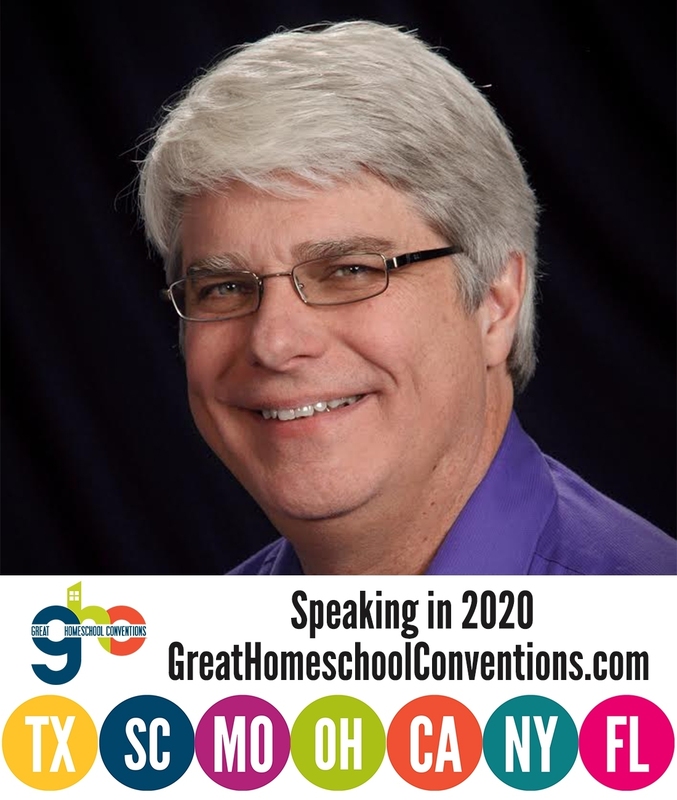 The 2012 Midwest Homeschool Convention How Meaningful are Genome Comparsons?